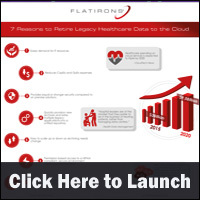 Moving healthcare legacy data to the cloud can ease data lifecycle management challenges, according to a new infographic by Flatirons Jouve. The infographic summarizes seven reasons why more healthcare organizations are adopting hosted solutions, including ones for application decommissioning and data archiving. 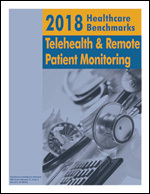 Eighty-three percent of healthcare organizations use cloud services. The top reasons healthcare organizations adopt cloud services is a reduction in maintenance costs, increased speed of deployment and addressing staffing challenges, according to a new infographic from HIMSS. This infographic also identifies the challenges, barriers and successes healthcare organizations are having with cloud services. Infographic: Can Healthcare Data Be Secure in the Cloud? Healthcare organizations are moving infrastructure and data to the cloud at a fairly rapid pace. A recent study suggests the cloud computing market in healthcare is expected to reach $5.4 billion by 2017. Learn the benefits of the cloud offers for healthcare organizations, along with best practices for healthcare security and privacy in the cloud in an infographic by Gazzang. You may also be interested in this related resource: Healthcare Business Intelligence: A Guide to Empowering Successful Data Reporting and Analytics, + Website. Posted in Health Information, Health IT, Infographics | Comments Off on Infographic: Can Healthcare Data Be Secure in the Cloud?